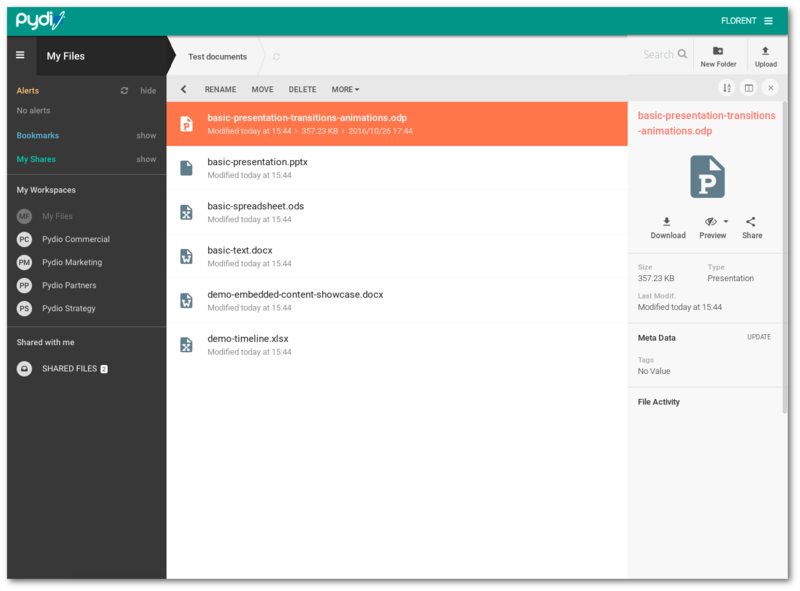 Pydio is the world’s largest Open Source file sharing and synchronization focused project for the enterprise. Pydio is a founder’s owned company. The Pydio Project delivers a sustainable balance between enterprise customers needs and Open-Source collaborative spirit. Sold in 25 countries, from Cupertino to Singapore, Pydio is used by leading brands such as Nikon, Ion Geophysical, and Guitar Center. Pydio also serves education and government clients such as Cambridge University (UK) and ADEME (France). It currently has over one million downloads. Pydio allows companies to deliver their own online file sharing, through secure, managed access to their on-premise servers or private cloud. 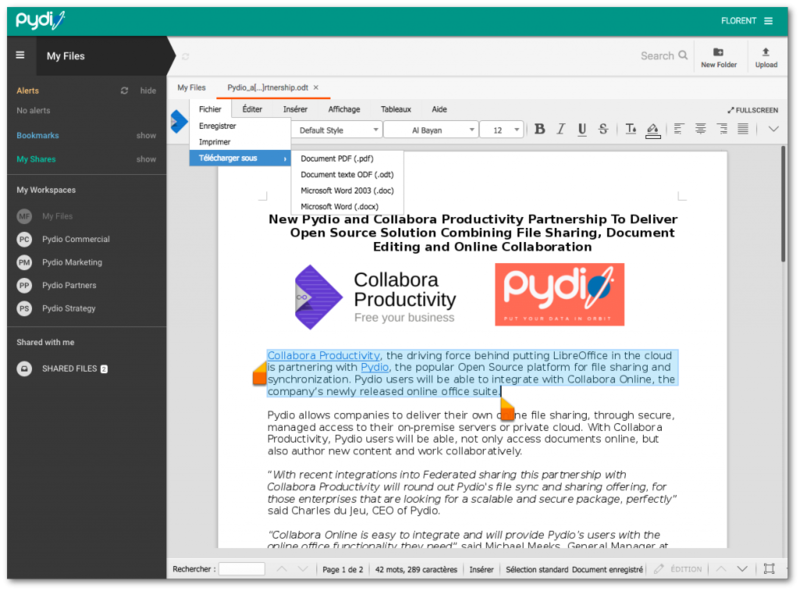 With Collabora Online, Pydio users can access documents online, author new content and work collaboratively. Get instant access to the Free Demo! Get Access to the Free Online Demo!